“Whether I’m shuffling a deck of cards or holding my breath [for a Guinness World Record], it’s the same satisfaction, the same hard work. Obviously there’s no such thing as magic. A magician is really a performing artist who does things that baffle the mind, making the seemingly impossible possible. For me, it’s the practicing and training and pushing through the pain to be your best. “Being able to do magic and get people to react, that’s the highlight to me. Whether it’s on TV or a stage or on the street, there’s no difference,” adds Blaine, who will perform for the first time in Houston at the Smart Financial Centre on May 30. Best known for highly rated TV specials and public stunts like being encased in a block of ice for 63 hours, Blaine's touring show is a combination of card tricks, sleight of hand, illusions, and physical weirdness, like plunging a metal stake through his arm, sewing his lips shut with needle and thread, and drinking kerosene and water and regurgitating them — so he can start a fire and put it out. “We couldn’t afford those magic kits that kids get. I had one deck of cards that I would carry with me everywhere. I’d have to wait in the school library until 5:30 pm for my mother to pick me up. One day the librarian showed me a book, Self Working Book of Mathematical Card Tricks. When I did one trick for my mother, she was amazed that a kid could do this. She ran away screaming. I kept learning more and more tricks to amaze her. He can’t. He’s playing Dallas the next night. 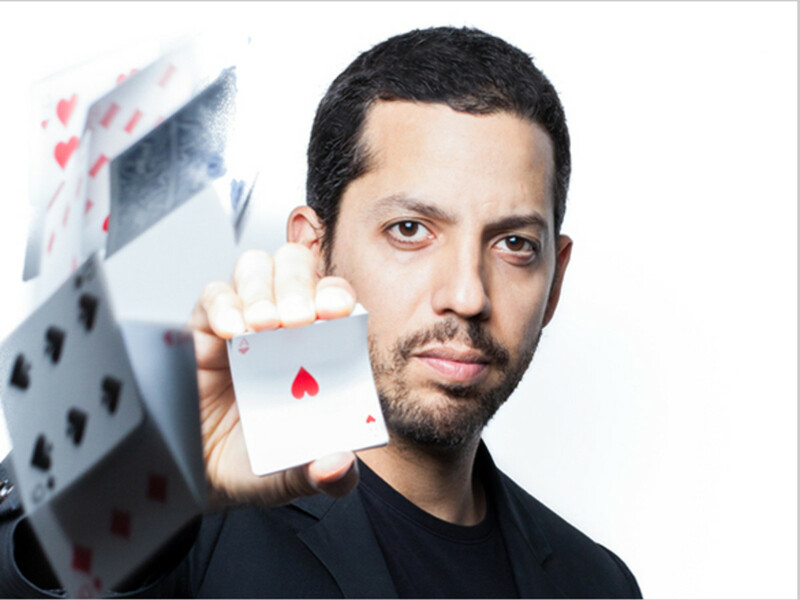 David Blaine performs on Wednesday, May 30 at Smart Financial Centre, 18111 Lexington Blvd., in Sugar Land. Tickets start at $25.